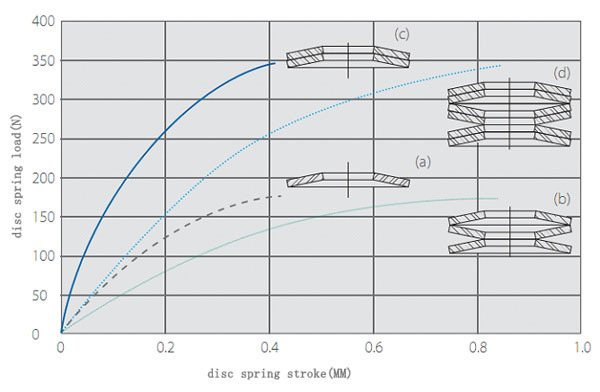 Based on the disc spring features and real-world application performance, we have sorted on its characteristics according to the main value(or index) . The value found: that our products can also be made smaller. Or, in the case of the product shape can not be changed, the power can play a ultimate role (such as military, aerospace industry). 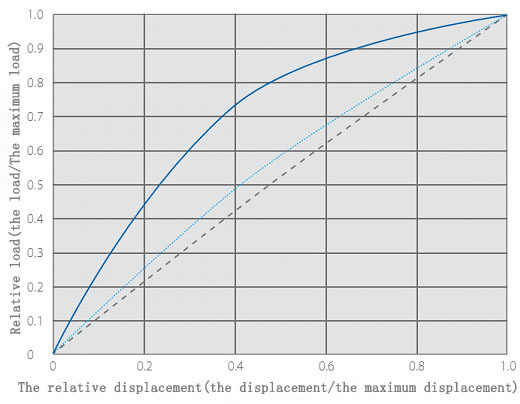 The value found:Change the size or composition of the disc spring, you can easily get the required load curve,this means that the product can be more reasonable (Maximize of function and the life). Found that the value of: convenience is the value,disc spring often single-chip or used in combination,combination is as easy as building blocks, also because of easy installation and combination, determine its easy maintenance characteristics. The value found: predict the future is not worth doing? 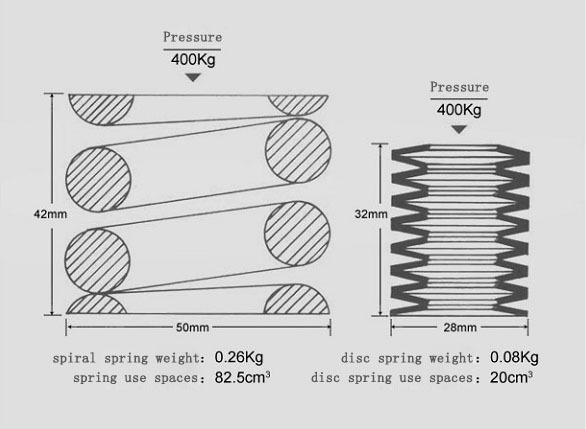 It sounds incredible, but we know that the life of the disc spring can be calculated. Value find: savings is the maximum value, This is the eternal unchanging truth.